Vaccines are a staple in preventive medicine, and every year more are added to the arsenal. Here’s what’s going on now in this sector of the profession. 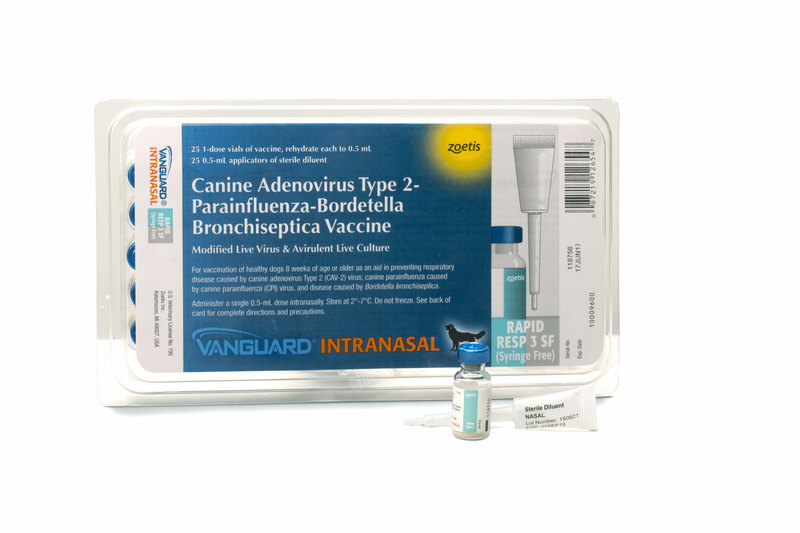 Two bivalent vaccines are now available to fight canine influenza virus: Nobivac Canine Flu Bivalent from Merck Animal Health and Vanguard CIV H3N2/H3N8 from Zoetis. It’s hard to know how many flu cases are seen annually. Both H3N8 and H3N2 canine influenza strains are seen regularly, according to Karen Stasiak, MSN, DVM, veterinary medical lead, biologicals at Zoetis based in Parsippany, N.J.
“When dogs get sick with flu, [the virus] in and of itself can cause illness and severity of disease that can lead to mortality, but it also allows for secondary infections as well, that may increase the severity or the mortality for the dog,” Dr. Stasiak said. 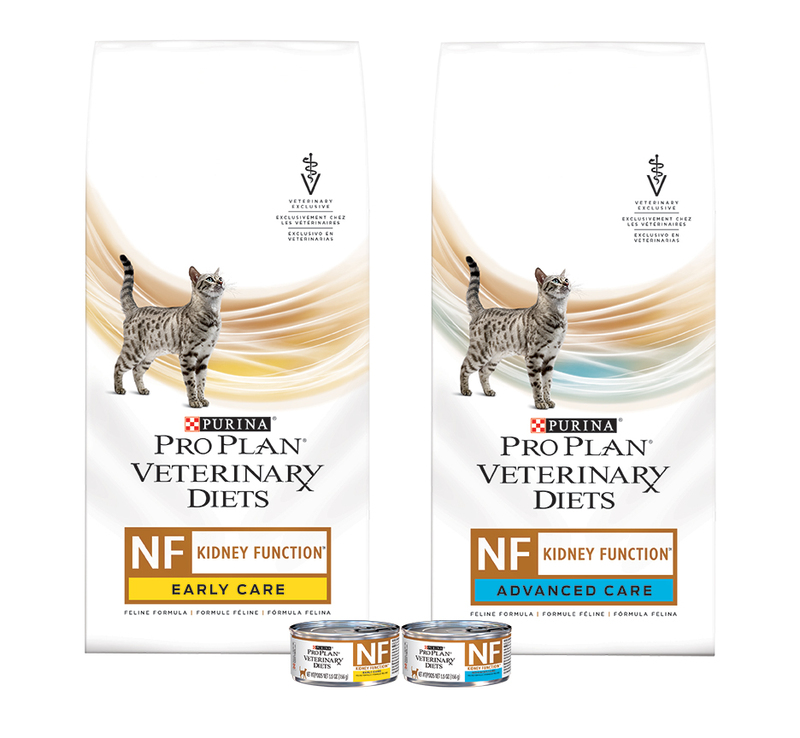 Primary immunization with the Nobivac Canine Flu Bivalent requires two doses, two to four weeks apart, plus an additional dose two weeks after the second dose. Vanguard CIV H3N2/H3N8 requires one initial dose, then a booster in three weeks. Dr. Stahl urges veterinarians not to delay recommending immunization for at-risk dogs. Stasiak said there is no recommendation at this time as to whether dogs should be revaccinated annually with Vanguard CIV H3N2/H3N8. Imagine a day when preventing cancer is as easy as preventing distemper or parvovirus. Current research aims to make that dream a reality as researchers continue to shed light on the power of immunotherapy. Stephen Albert Johnston, Ph.D., of Arizona State University recently was awarded a multiyear grant of $6,421,402 to conduct an interventional canine clinical trial to evaluate the effectiveness of a multivalent frameshift peptide (FSP) vaccine to prevent cancer in dogs. 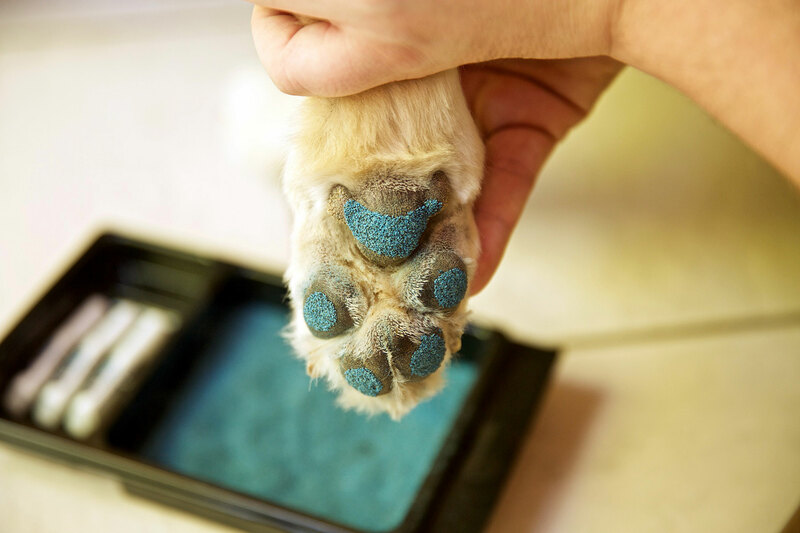 As of press time, Johnston was hoping to start enrolling dogs (up to 800 total) in the clinical trial beginning in May at three sites: Colorado State University, University of Wisconsin, and University of California, Davis. With more funding, he hopes to open one to two more sites and enroll as many as 1,600 dogs. Trial participants must be 6 to 10 years of age and not have cancer. Johnston expects the trial last anywhere from two to five years, and aims to open related trials in parallel. 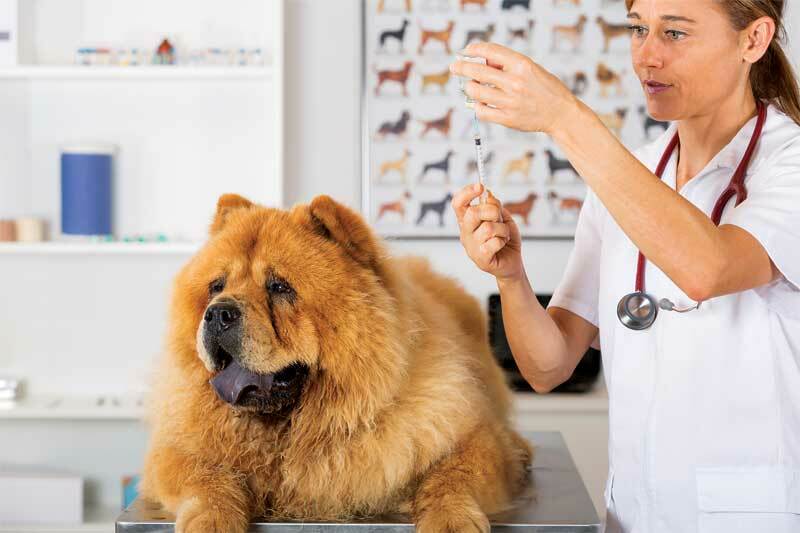 In late 2017, Aratana Therapeutics announced that it had received USDA conditional licensure for its canine osteosarcoma vaccine, Live Listeria Vector (AT-014), intended for the treatment of dogs 1 year of age or older diagnosed with osteosarcoma. Data from a clinical study suggests that the immunotherapy might delay or prevent metastatic disease in dogs with osteosarcoma, and prolong overall survival, according to Dr. Heinen. Next, Aratana will make the vaccine available at approximately 24 study sites across the U.S. to gain additional safety data for a future filing to the USDA. Dogs enrolled in the study must complete four to five visits to the study clinic over an approximate two-month span. 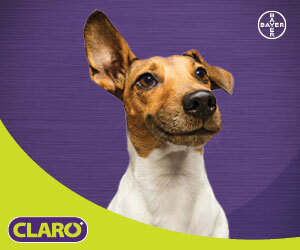 Dogs must be at the clinic two hours before treatment and six hours after treatment for monitoring. Dog owners must purchase the canine osteosarcoma vaccine from their veterinary oncologist; any other costs are at the discretion of the study clinic. To find a study location, call 844-272-8262. Although valley fever is a regional concern, pets and people who contract this disease face a lifetime of costly medical treatments. For dogs especially, this can be a death sentence when owners elect to euthanize rather than face the ongoing cost of expensive drugs. Researchers at the University of Arizona are currently working on developing the first-ever vaccine to prevent valley fever in dogs. Demand for the vaccine would be regional in the Southwest U.S., mainly Arizona, California, Southern Nevada, Southern Utah, and New Mexico, but Dr. Shubitz thinks people traveling with their dogs to the Southwest might also want to vaccinate. Formulation studies are currently underway. “We would hope by the end of the year we have something in a bottle that would be ready to test that’s a final formulation or close to it,” Shubitz said. Scientists from the Animal Health Trust (AHT), the Swedish University of Agricultural Sciences, the Karolinska Institute, and Intervacc AB, have developed a new protein-based vaccine to protect horses from strangles. 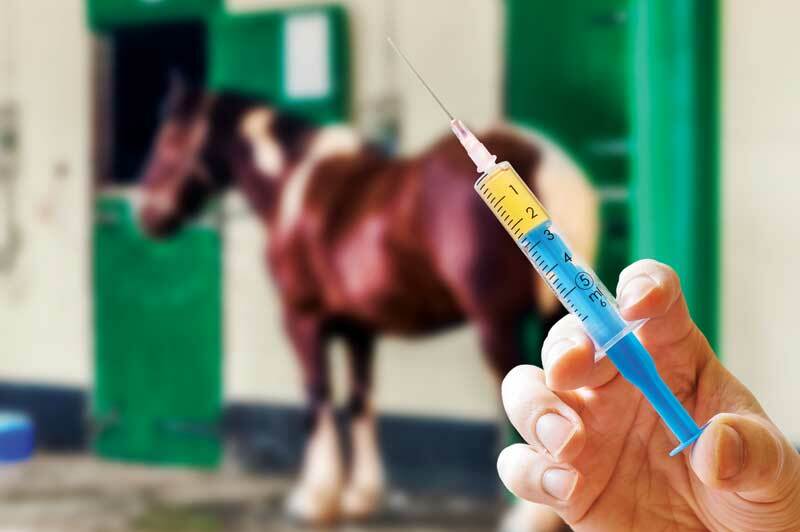 “ … Our Strangvac vaccine protected over 80 percent of horses,” said Jan-Ingmar Flock, Ph.D., CEO of Intervacc AB, vaccine manufacturer. “The vaccine was designed using information from sequencing the DNA of Streptococcus equi and highlights the potential that the genome-era heralds for improving the health of animals and people,” said Dr. Andrew Waller, head of bacteriology at AHT. 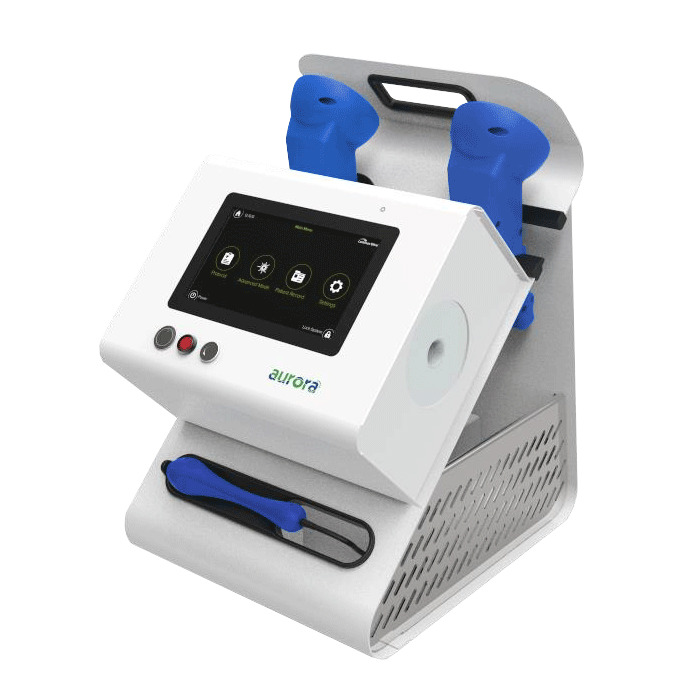 “Transfer of the manufacturing process and production of commercial batches are underway toward the registration and launch of Strangvac, and we anticipate that it will be available for use during 2020,” Flock said.